I've had my 1st Adcom (a GFA-555) since I bought it new in 1986. Awesome amp! I have also toyed with an upgrade over the years, but I'm never sure what to replace it with that doesn't cost a fortune. Who knows, maybe one day. I picked up a 555 MKII today. More than likely will be using to power the Acoustat's. I'll post some pics after I figure where it's resting place will be. Demoed a pair of JBL LSR305 and enjoyed them so much I decided to buy a pair for the living room. Needed something basic to run them and then found a used Adcom GTP-500 II. Outstanding combination so far. Really happy. Acoustats will love that Adcom to death!!!!! Thanks prerich! I tell you, these things really came to life once I got all that juice behind them. 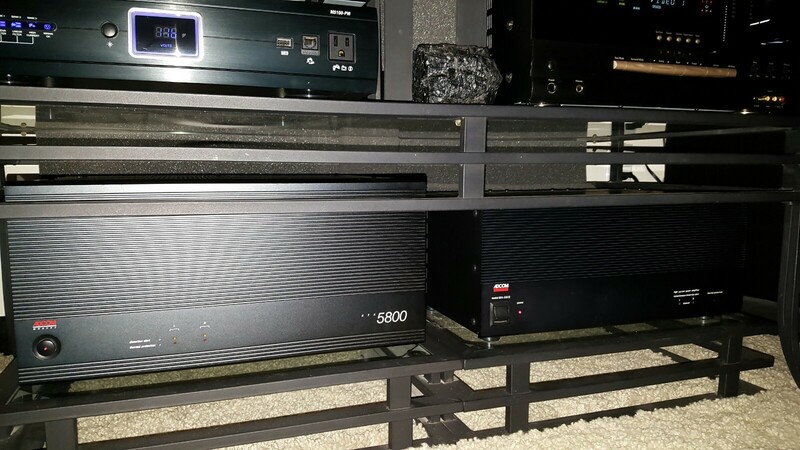 I did sell my GFA 2535 a few months ago and moved the 555 to my son's system. Definitely overkill for his set up, but he loves it. phenomenon in the several months I've had the upgrade. Yay! Yeah, understood. I had one of the 2535 amps bridged so it gave me 200 watts for the VCC-2 center, which matched the 555 across the front pretty well. When I bought the amp (a lonnnng time ago), the rear channels for Dolby Pro Logic were not that demanding and I did not have the VSM's in the back (yet). So..., I upgraded the center and surround speakers and knew the rear amp was next in the upgrade march. I thought about getting another 555 for the rear which would have given me 200 X 5, but then decided to wait until I could upgrade all 5 amps at once. So my patience seems to have paid off. Nice...very nice!!!! 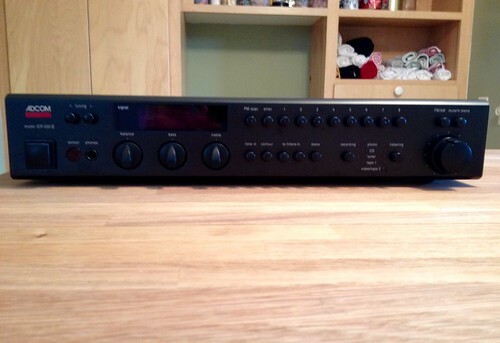 I sold my Adcom 5503 pretty cheap, $300. 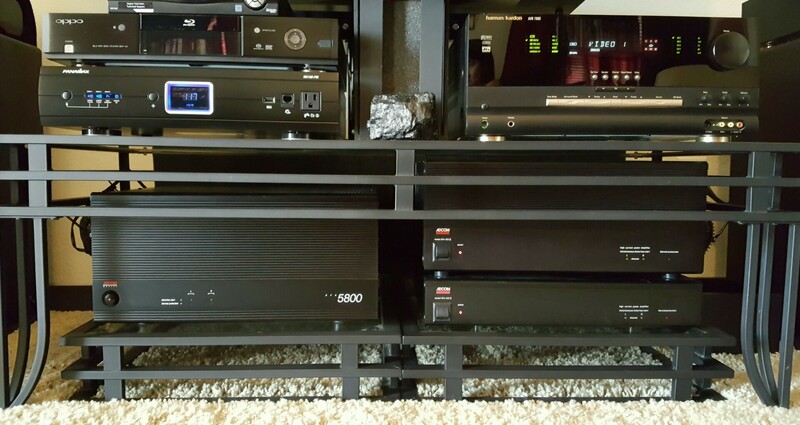 I loved that amp - but it's doing its job in my friends system (Chris38)! the Triple nickels are great amps and hold their value well.. i bought a used one on ebay a long time ago.. had it 7-8 years and sold it for 90% of of what i paid for it.. mine was the first version of the 555 though..
Hey guys had my 5500 for 20 plus years . 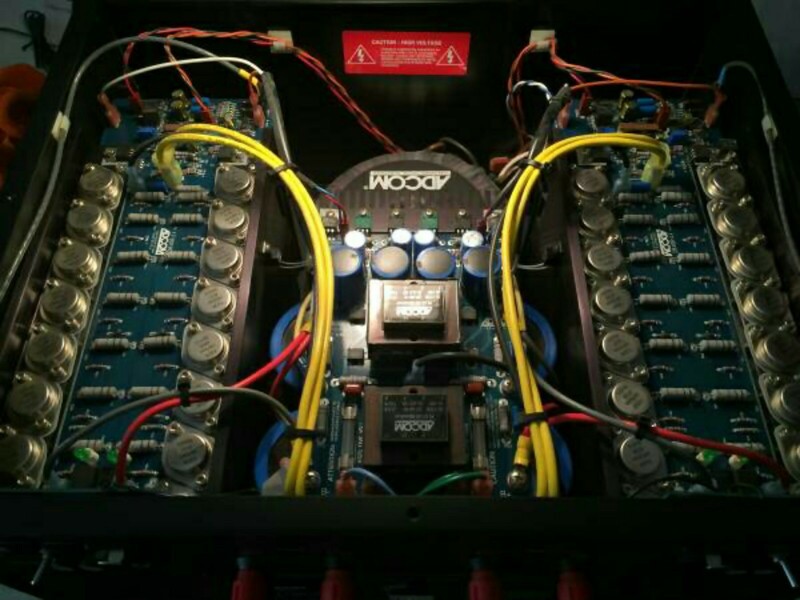 I was looking at the 5006 6 channel amp for the center and the surrounds. its bridgeable but im confused on if I could bridge 2 for the center and have 4 for the surrounds ? If any one knows or have done this . Last edited by Bill C; 03-18-2019 at 09:29 AM.